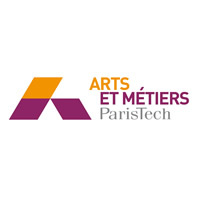 A Arts et Métiers ParisTech ou École Nationale Supérieure d'Arts et Métiers (ENSAM) é um famoso Instituto de Engenharia francês e um membro fundador da ParisTech (Paris Institute of Technology) e da France AEROTECH. Em 2007, seu nome foi alterado para Arts et Métiers ParisTech. Fonte: Nova Science Publishers, Inc. Publicador: Nova Science Publishers, Inc.
A short but detailed introduction to the statistical theory of polymer network formation is given, including gel formation, gel structure, and sol fraction. Focus is put on the use of probability generating functions, and results that are of interest for polymer network elasticity are emphasized. Detailed derivations are supplied, and a simple 6-step procedure is provided, so that the reader is able to adapt and apply the theory to his own chemical systems, even if examples are given on polyurethanes essentially. High pressure water jet assisted turning (HPWJAT) consists of projecting a high pressure water jet, up to several hundred bar, into the tool-workpiece interface. The water jet is directed between the chip and the tool affording greater protection of the cutting face and better chip breaking. Comparisons are made between assisted turning using several jet pressures and conventional turning with different cutting speeds on the duplex stainless steel, X2CrNiMo22-5. The results show good chip fragmentation and an improvement of tool life with high pressure water jet assistance (HPWJAT). The evolution of the roughness is also investigated. It is shown that it is possible to improve the productivity by using HPWJAT. 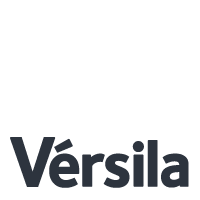 ; This study was undertaken by the Arts et Métiers ParisTech CER Angers in collaboration with two industrial partners: CETIM and Westafalia. Fatigue phenomena, which appear generally below the yield stress, is the cause of more than 80 % of in-service mechanical failures. However, the optimization of the weight and cost when designing mechanical components or structures, linked to improved performance, leads to increasingly stressed components. Therefore a fatigue design approach must be done by the engineer. This paper shows the experience gained over five academic years of teaching fatigue the assessment of automotive components using a reliability approach to predict probability of failure, in the engineering school, Arts et Métiers ParisTech, in France. The choice was made to present a comprehensive fatigue assessment approach using a method, initially developed in the automotive industry and since extended to the aeronautical and mechanical industries. This method is known as the “Stress-Strength interference analysis”. The “Stress” represents the distribution of the driver severity, and the “Strength” represents the distribution of the fatigue strength of all the components. A suspension arm is used to illustrate the approach. The Dang Van multiaxial fatigue criterion is implemented in a Finite Elements Code and a danger coefficient is visualized on the meshed structure. The fatigue analysis is interpreted with respect to the target reliability sought by the car- manufacturer. The original publication is available at www.springerlink.com; The whole stretch blow-moulding process of PET bottles is simulated at the usual process temperature in order to predict the elastic end-use properties of the bottles. An anisotropic viscoplastic constitutive law, coupled with microscopic variables, is dentified from uniaxial tensile tests performed at different strain rates and temperatures. The microstructure evolution is characterised by crystallinity measurements from interrupted tests and frozen samples. For each specimen tested, the Young modulus is measured at room temperature. Numerical simulations of the blow moulding process are run using the C-NEM method. A micromechanical modelling is post-processed after the simulation to predict the elastic properties. Predictions of Young modulus distributions in bottles are in agreement with the ones measured on blow-moulded bottles. The paper reports combined experimental and numerical investigations of unforced un- steadiness in a vaneless radial diffuser. Experimental data were obtained within the diffuser using stereoscopic time resolved Particle Image Velocimetry (PIV) recording three velocity components in a plane (2D/3C), coupled with unsteady pressure transducers. To characterize the inception and the evolution of the unsteady phenomena, spectral analyses of the pressure signals were carried out both in frequency and time-frequency domains and the PIV results were post processed by an original averaging method. Two partial flow rates were investigated in detail in this paper. A single unforced unsteadiness was identified for the lowest flow rate, whereas, two competitive intermittent modes were recognized for the higher mass flow. Numerical analyses were carried out on the same pump by the commercial code CFX. All the computations were performed using the unsteady transient model and the turbulence was modelled by the Scale-Adaptive Simulation (SAS) model. Numerical pressure signals were compared with the experimental data to verify the development of the same pressure fluctua- tions. Version éditeur : http://jla.aip.org/resource/1/jlapen/v19/i3/p165_s1?isAuthorized=no; This article deals with the gas effect on percussion laser drilling in ms pulse duration range. On the one hand, the flow of assistance gas jet is investigated with and without a target using a strioscopy setup and Pitot’s tube. By this way, the position of shock waves in the supersonic jet and near the target surface is revealed. From this characterization, the distance between exit nozzle and target can be optimized to induce higher pressure on surface and protect optics from liquid ejection. On the other hand, metal liquid and vapor jets from irradiated target are observed with a high-speed camera (100 000 Img/sec). Without assistance gas, a surprising result on the video is a shock wave inside the metal vapor jet like a supersonic flow. The assistance gas limits the propagation of the vapor and facilitates the deposition of metallic liquid around the front surface holes. The Particle Image Velocimetry is undoubtedly one of the most important technique in Fluid-dynamics since it allows to obtain a direct and instantaneous visualization of the flow field in a non-intrusive way. This innovative technique spreads in a wide number of research fields, from aerodynamics to medicine, from biology to turbulence researches, from aerodynamics to combustion processes. The book is aimed at presenting the PIV technique and its wide range of possible applications so as to provide a reference for researchers who intended to exploit this innovative technique in their research fields. Several aspects and possible problems in the analysis of large- and micro-scale turbulent phenomena, two-phase flows and polymer melts, combustion processes and turbo-machinery flow fields, internal waves and river/ocean flows were considered. Version éditeur : http://iopscience.iop.org/0022-3727/45/33/335304; Laser shock processing (LSP) is now a recognized surface treatment for improving fatigue or corrosion behaviour of metallic materials through the generation of a compressive stress field. In turn, the analysis of shock wave propagation is of primary importance to predict numerically morphological and mechanical surface modifications. Considering experimental and numerical analysis of shock wave propagation, and surface deformations induced by single impacts, a 2050 aluminium alloy having different microstructural was investigated under laser-shock loading. In a first step, the evolution of shock wave attenuation and elastic precursor amplitude was correctly reproduced by finite element simulations, and in a second step, surface deformations induced by 1 to 6 local impacts were also compared satisfactorily with experiments. This allowed us to validate mechanical loading and materials’ constitutive law, but did not allow determining accurately residual stress fields on a single impact. To increase the believability and life-likeness of Embodied Conversational Agents, we introduce a behavior synthesis model for the generation of expressive gesturing. A small set of dimensions of expressivity is used to characterize individual variability of movement. We empirically evaluate our implementation in two separate user studies. The results suggest that our approach works well for a subset of expressive behavior. However, animation fidelity is not high enough to realize subtle changes. Interaction effects between different parameters need to be studied further.